It’d be interesting to see the debut of Malaysian fighters Eugenio Tan and Raymond Tan as they’ll be up against the Indonesian representatives. It won’t be a walk in the park, especially with the local crowd’s support for their opponents. 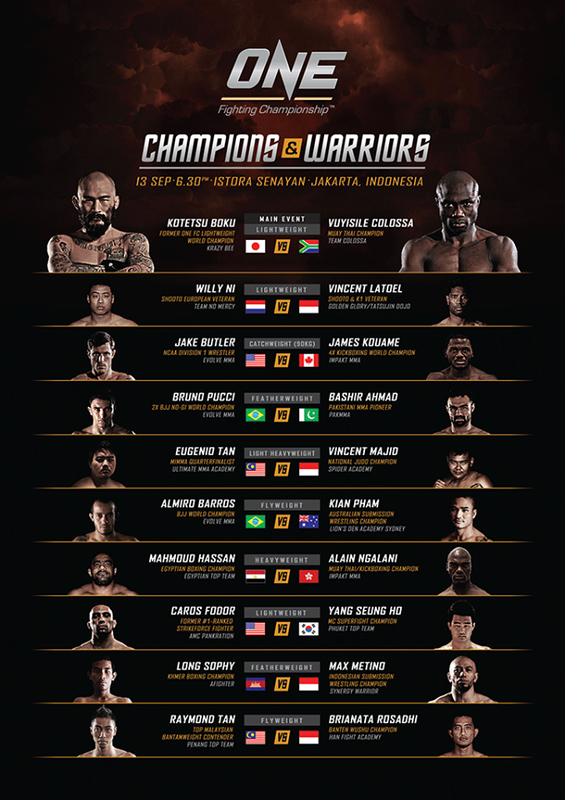 Anyway, for Malaysians, we can watch the main card live on Astro ESPN Star Sports starting at 9.30pm while the others from the rest of world are witnessing the action online via live streaming at www.onefc.livesport.tv. 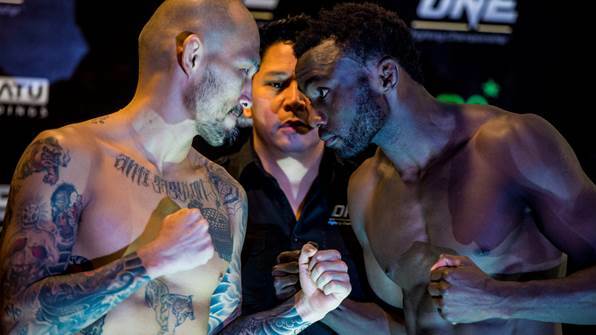 The first three undercard fights are available for viewing free-of-charge on the website and the main card fights will be available for pay-per-view at just US$9.99. If you still somehow missed it, stay tuned for my usual quick recap/review/results here.